This letter, written by one of our WWII Veterans who recently returned from the first Honor Flight of 2016, to the teachers/principal of the students from All Saints’ Episcopal Day School, states what so many of our greatest generation feel and know to be true. His group were welcomed home by family and friends, along with a wonderful group of young people and their teachers – met with cheers, smiles, clapping, and music! A lovely culmination to the veterans’ 3-day trip of Honor & Remembrance! Well-said, Jim! Kate, I’m going to ask Ms. Cotton to share this with you because I don’t think I could handle two letters in one day. If my sentences seem disjointed and my thoughts jumbled, it is only because of … well, how do you respond to how we, the Honor Flight, were met and greeted? I know from my own experience that it is accepted with mixed emotions. I think “aw shucks, it wasn’t all that much,” is the most common reply. We, as a generation, were faced with a problem. We, as a generation, not individuals, responded. It may have been as military or Rosie the Riveters, those who planted a Victory Garden or just (yes) recycled tin cans or lived with the rationing. We all did what needed to be done and what each of us could do. I and many others know that we have been blessed in so many ways. We, the former military, know that ALL GAVE SOME, OTHERS GAVE ALL! 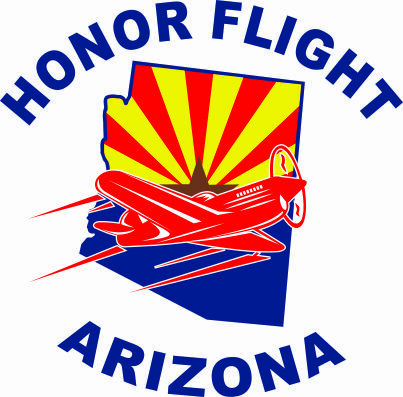 So, to the two of you, on behalf of Honor Flight Arizona (flight #51), I thank you!! ← 50 Flights of Honor!! I was honored to travel to Washington D.C. on 6 November 2012 (Election Day). There were about 27 of us and what a treat & treatment that we received during the 3 days that honored by workers of Honor Flight and the general public. I was lucky to be chosen to make the trip. My last trip to D.C. was in 1961 and there was so much to see. At every stop, from Southwest Airlines to the Baltimore/Washingon Hilton Hotel to the Charter Bus we road in we were thanked and applauded for our service during WWII. I would hope that Honor Flight would also continue this program for our “Forgotten Warriors” of the Korean “Police Action”. There are fewer and fewer of us WWII vets left. Keep up this great program!